Special congratulations to barista Daniel Horbat who bagged himself the 2018 Irish Cup Taster Champion title in Cork this past weekend. Daniel is going to represent Ireland during the World Championships in Dubai. 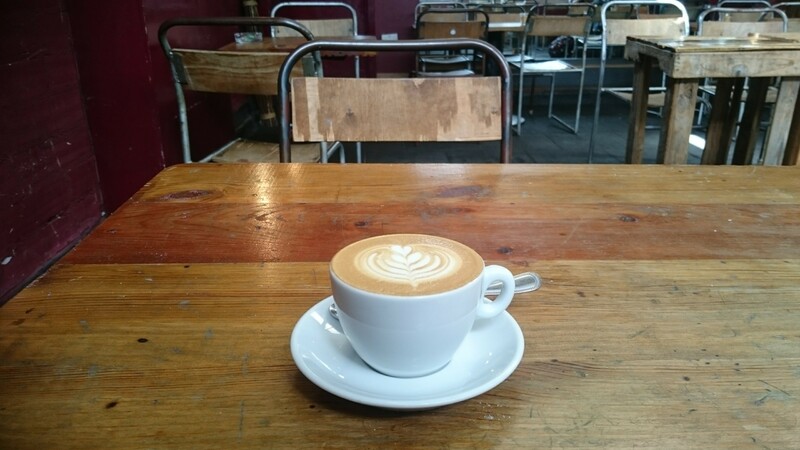 Follow Daniel on Instagram to catch up with his work, training and latte art creations. Fonté Coffee Ireland organises an exclusive tasting experience with Founder Paul Odom. Participants will have a chance to experience the flavours of bourbon barrel conditioned coffee. The Fonté team has taken one of their favourite Brasils which is noted for its caramel, nougat, layered profile and conditioned in 12-year-old Heaven Hill Kentucky Bourbon barrels. These barrels have also aged one of the world’s most sought-after wood aged stouts for a minimum of 12 months, giving the beans a balanced profile of bourbon, malt and chocolate. Want to have a sip? Enter Fonté Coffee Ireland‘s giveaway on Instagram for your chance to win three spots for you and your two friends. If you love Vice Coffee as much as I do, rejoice! Vice Coffee has changed its opening hours, staying open until 9pm every day! Hell yeah! Reference Coffee in 49 Pleasants Street is a new cafe that opened its doors this week. This multi-roastery takeaway shop is a sister cafe to Meet Me In The Morning. The cafe is open seven days a week and is all about serving speciality coffees labels such as La Cabra Coffee Roasters and the Coffee Collective. Need to get some gear for your home brewing? Vist Joe’s Coffee to get up to 30% off their kit this Saturday, April 14th, between 10am and 3pm. Beans will be also available at a special discounted rate on the day. The Joe’s team will be doing a cupping every hour throughout the day so you can taste the different specialty coffees. For more details, visit www.joes.ie/blog/2018/4/3/super-spring-clean-sale-at-joes .